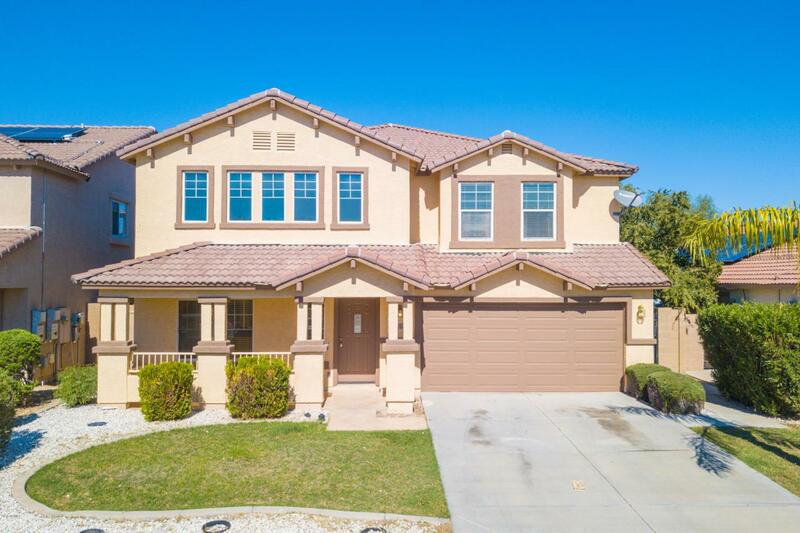 STUNNING, move in ready home, with FRESH interior paint & FRESH carpet! This VERY LARGE home offers soaring ceilings, 5 bedrooms, 3.5 bathrooms, loft, and a game room/office!! 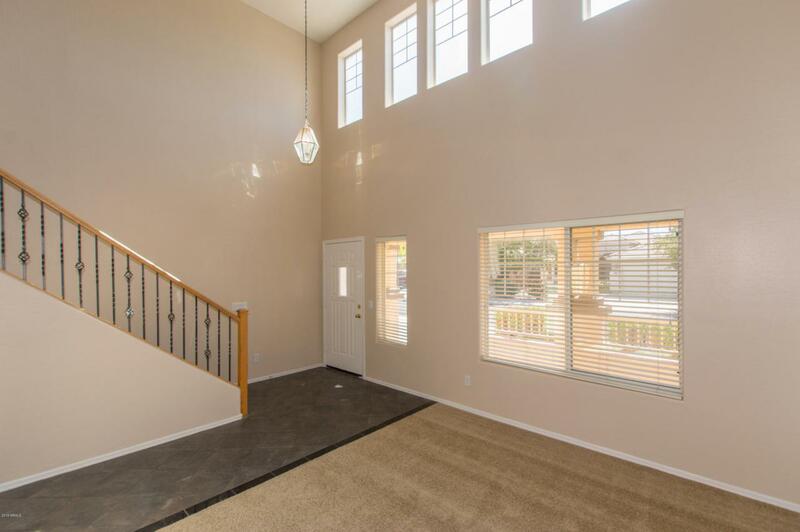 This home has 2 master suites, one is downstairs and one upstairs. 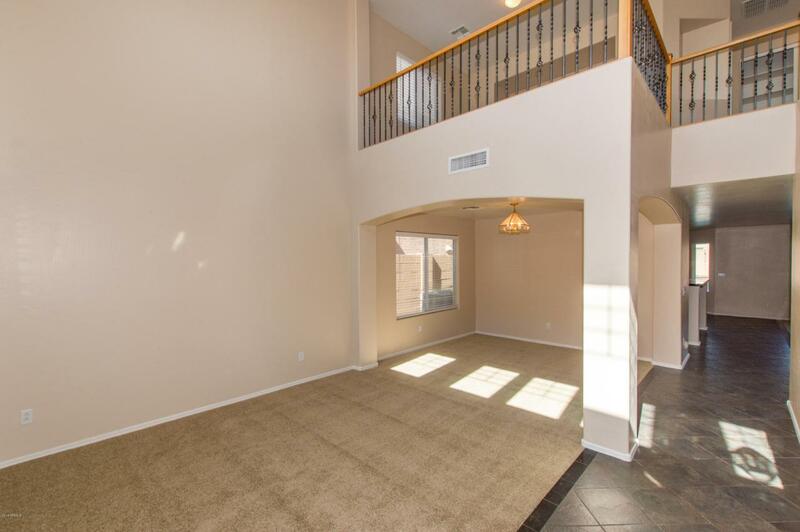 As you head upstairs you will see your spacious loft and additional 4 bedrooms. Your upstairs master bedroom offers a private patio with views to your backyard with your master bath offering a walk in closet, double sinks, and separate tub and shower. 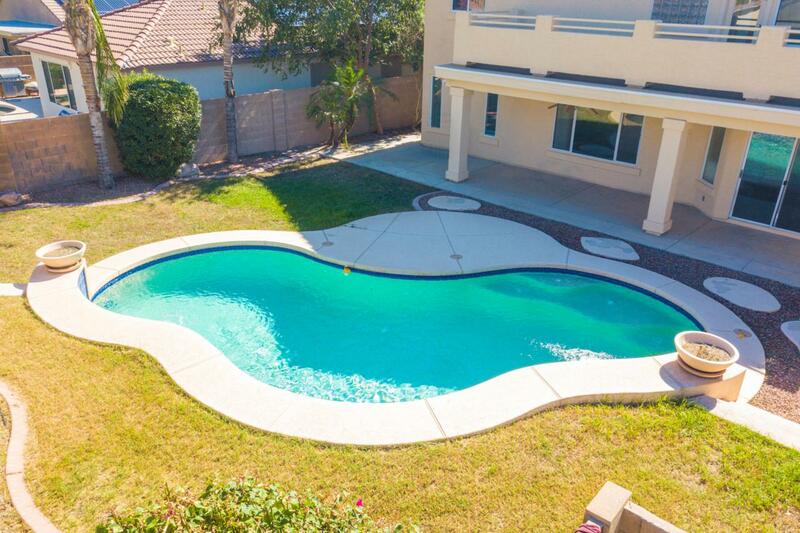 Out back you have a sparkling pool, grassy area, and covered patio. If you are looking for a larger home, THIS IS IT! Stop by today!